Why Hire Cope, Zebro & Crawford? 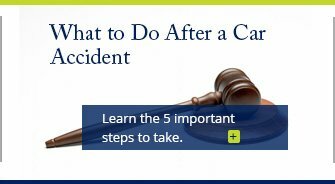 Secure the assistance of a dependable Clearwater personal injury attorney now! At Cope, Zebro & Crawford, P.L., we know that you may have many choices when it comes to choosing legal representation to assist you with your personal injury claim. In times as tough as these and with so much riding on the successful resolution of your claim, you need to be absolutely certain that the firm you choose to work with can deliver the support you deserve and the representation you require. We are fully prepared to deliver a level of service that stands apart from the rest, and we do so by focusing our practice on the following elements. 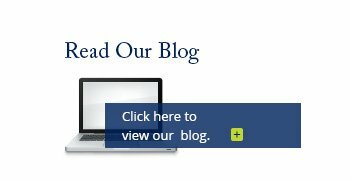 Our legal team's experience is extensive, far-reaching, and one of the prominent driving forces behind our ability to consistently deliver successful results to the clients we serve. Our attorneys have more than 45 Years of collective practice and have handled a wide variety of personal injury claims for a diverse set of clients throughout Clearwater, St. Petersburg and the surrounding communities of west central Florida. As a sign of our team's integrity and abilities, our attorneys have also been selected for inclusion in the prestigious list of Super Lawyers®. At the end of the day, we know that experience counts and we take pride in the fact that the experience we deliver has substance and meaning far beyond our years. One of the most distinguishing aspects of our practice is that we bring an unrivaled level of insight to every case we work. 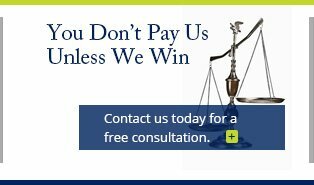 A legal team equipped with a former insurance defense attorney and a former trucking company lawyer, we know the tactics used by insurance companies from the inside out. This allows our firm to remain a step ahead of the opposition, a fact that should make anyone in need of proven representation confident about choosing to work with our firm. 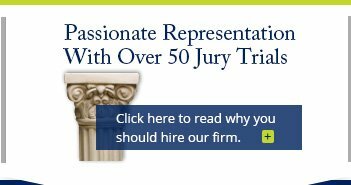 Having more than 50 jury trials and a focus on representing injured victims and families, we bring an added layer of versatility to the cases we work. Having a strong reputation as proven trial lawyers, we can effectively negotiate fair settlements or, when offers fail to meet the needs of our clients, fight aggressively and intelligently in court. In addition to being members of the Florida Bar, Clearwater Bar, and St. Petersburg Bar Associations, we are also members of the Tampa Bay Trial Lawyers Association. At Cope, Zebro & Crawford, P.L., we know that every accident, injury, and client is unique and that these are immensely personal experiences. As such, we never pass cases off to case managers and support staff and never try to shuttle our clients through a "revolving door." Your case is always handled by a lawyer. Not only does this bolster our ability to craft effective and customized legal solutions but also our ability to show our genuine support and unwavering passion for making a real difference in the lives of the victims we serve. Meet with our legal team to learn more! We are confident in our ability to help you succeed during your personal injury case and we want you to feel the same when choosing to work with our firm. This is why we offer free case evaluations to all prospective clients who would like to learn more about our legal team, the services we provide, and how we can maximize your recovery. Contact Cope, Zebro & Crawford, P.L. at our office in Clearwater to begin you legal journey with a caring and capable firm.